Dotdash has acquired beauty site Byrdie and women’s lifestyle site MyDomaine from Clique Brands. 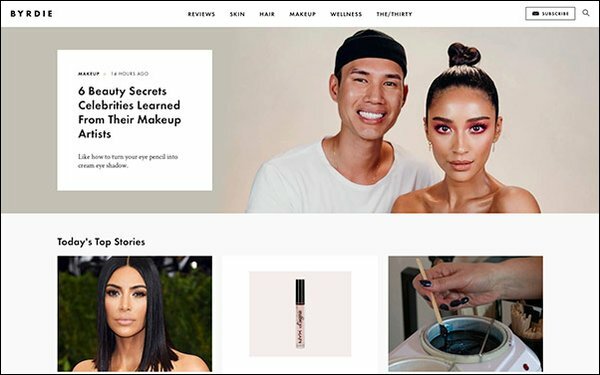 Byrdie will become Dotdash’s platform for its expansion into the beauty space, while MyDomaine will add to Dotdash’s growing efforts in the lifestyle category, per the digital media publisher. Clique Brands’ strategy “continues to evolve from advertising-supported media to community-driven commerce,” stated Katherine Power, CEO-cofounder. Clique will focus on its flagship fashion media brand Who What Wear and its consumer brands. In the last three years, Dotdash has put $50 million+ into content and spend may increase with the new acquisitions, according to WWD. Leah Wyar, most recently Chief Beauty Director at Hearst Magazines, has been hired to lead Byrdie and MyDomaine at Dotdash. “We think we have a huge opportunity to continue to grow these brands into something incredibly special,” stated Neil Vogel, CEO of Dotdash. Dotdash is the rebranded About.com, the nearly 20-year-old site known for its “how to” articles. The company also owns Verywell, The Balance, Lifewire, Investopedia, The Spruce and ThoughtCo. Dotdash is part of publishing company IAC, which owns over 150 brands and products, including Vimeo, Tinder and The Daily Beast. IAC revenue increased from $828.4 million in 2017 to $1.1 billion in 2018, reports MarketWatch.